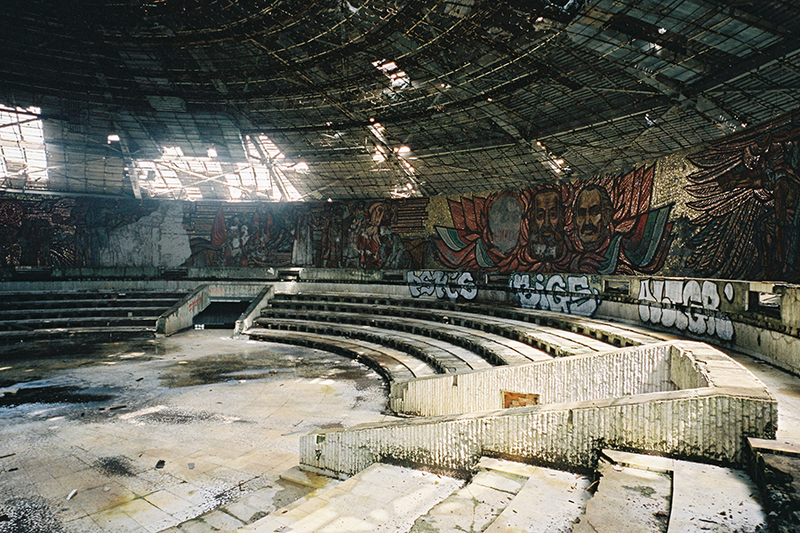 I’f you’re interested in socialist monuments, or abandoned places, I’m sure you stumbled upon this place already. 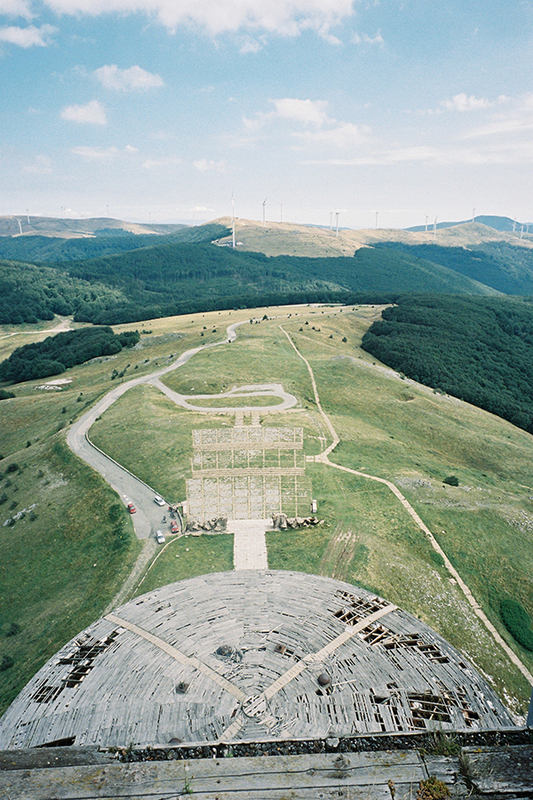 I did, so on a recent trip to Bulgaria I asked my girlfriend if she wanted to see a UFO. 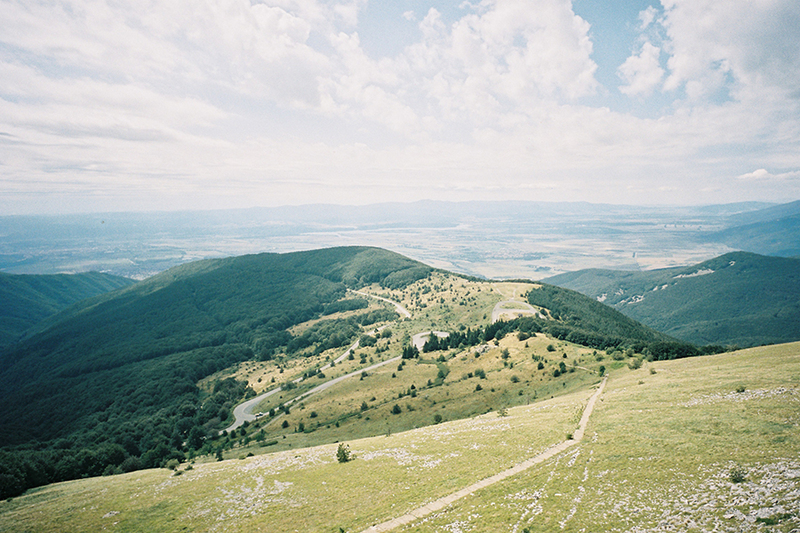 A quick google image search had her curiosity, so we took a little detour up Shipka pass to the peak of 1441m high Chadschi Dimitar mountain. 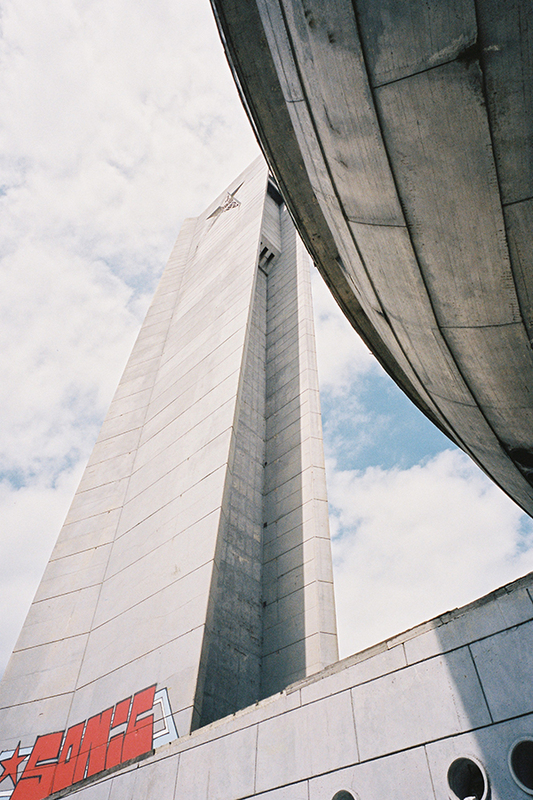 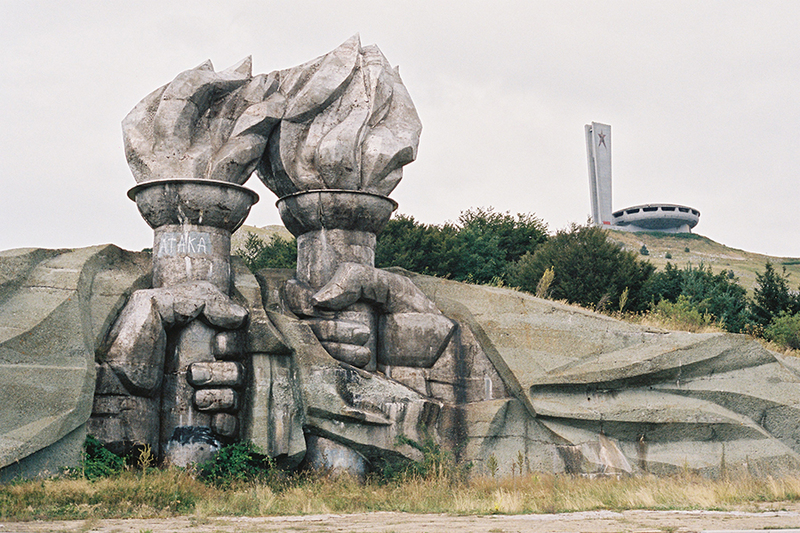 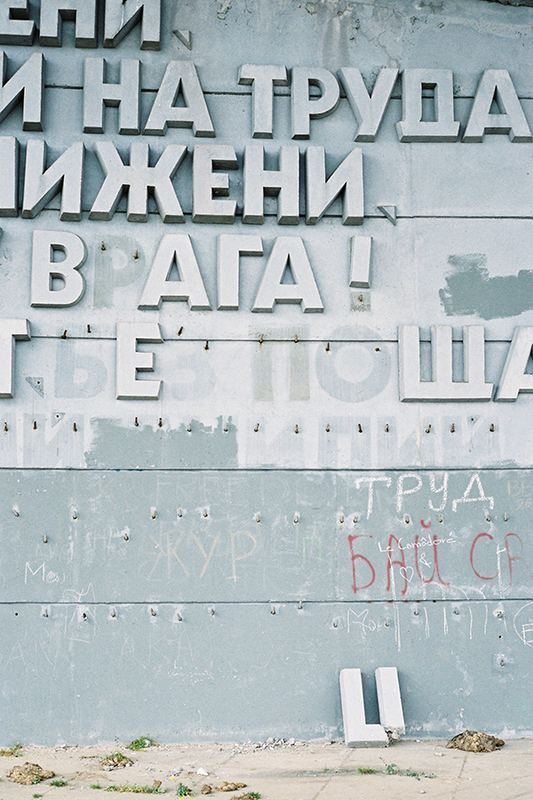 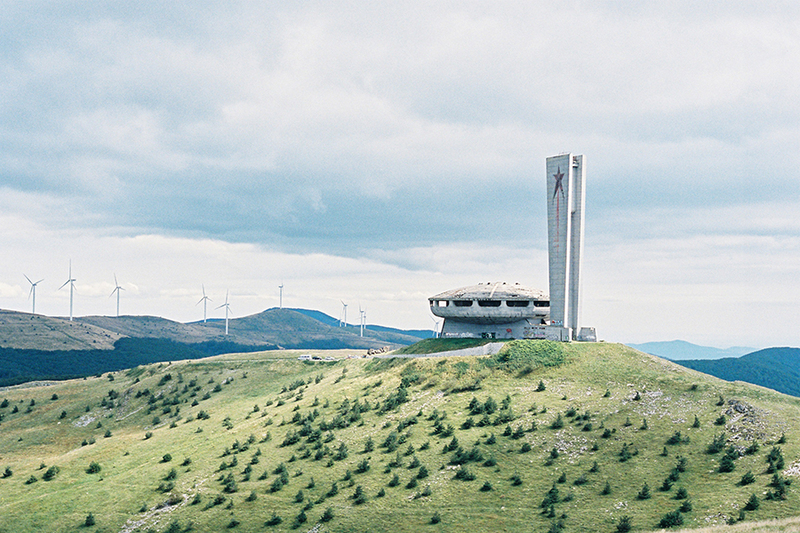 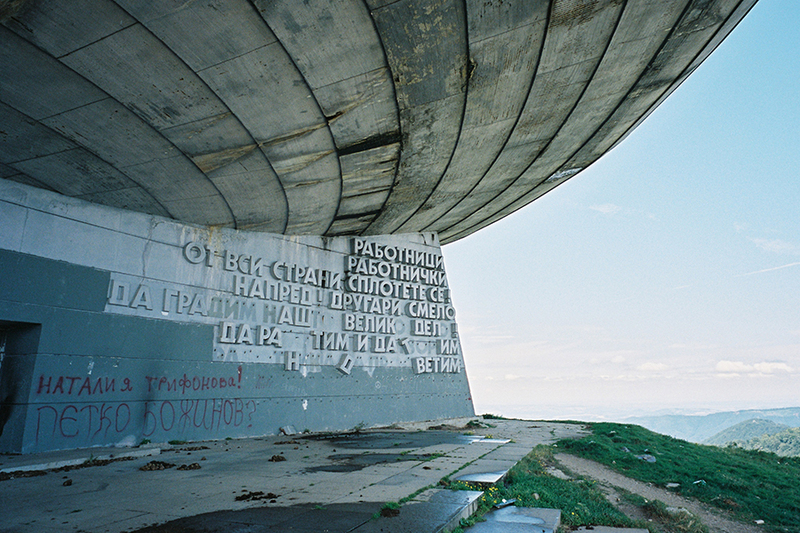 The Buzludzha monument was finished in 1981, the 1300th anniversary of the foundation of the Bulgarian state. 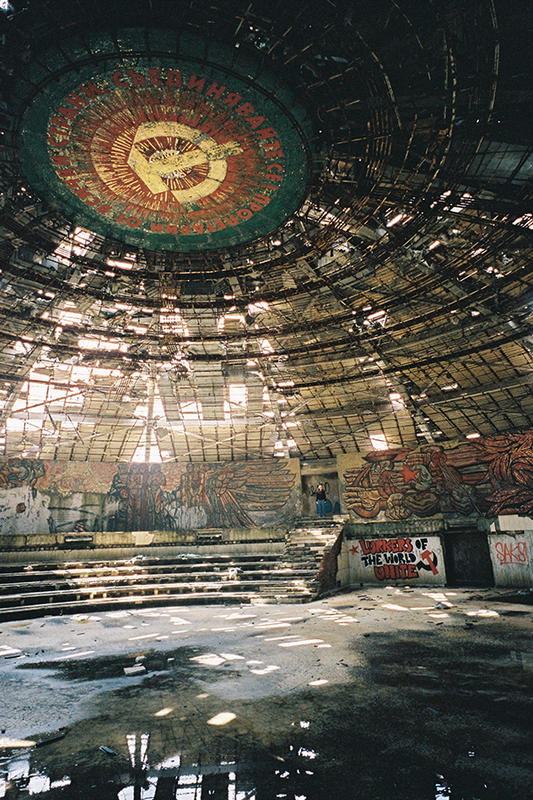 It probably started decaying when the socialist regime collapsed in 1989 and today, only 25 years later it is in a desolate state. 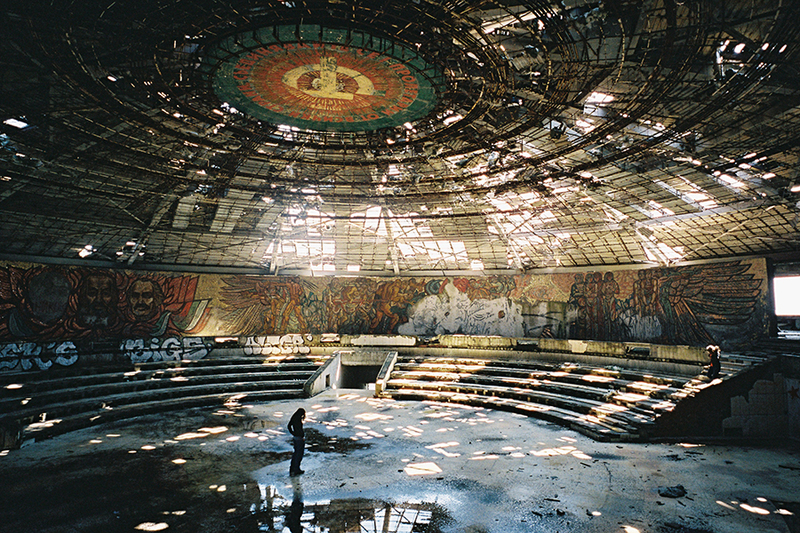 The roof is leaky, the windows are missing and the once pompous interiour has been vandalized. 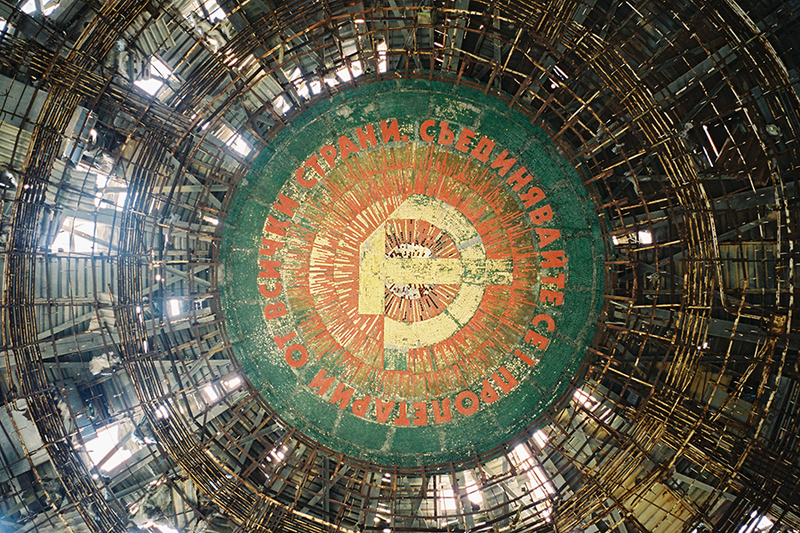 (I’ll skip the historical details here, but if you’re interested there is more information here) The atmosphere in the building is quite eerie and surreal, even though you’re probably not going to be alone up there. 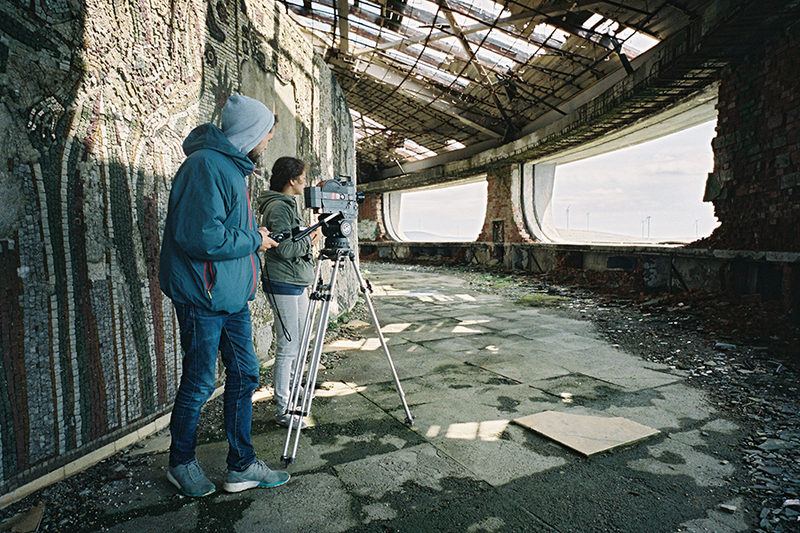 We even met two students, filming a movie on an Arri 16mm. 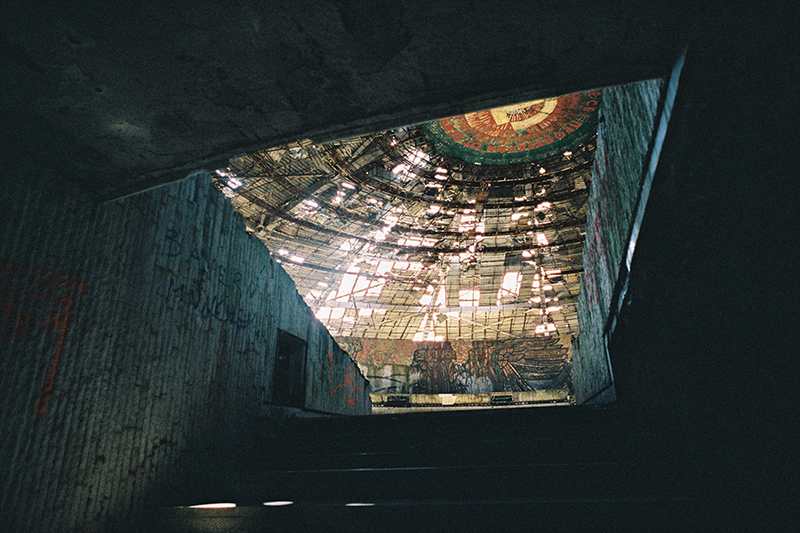 If you’re brave enough you can even climb up the tower. 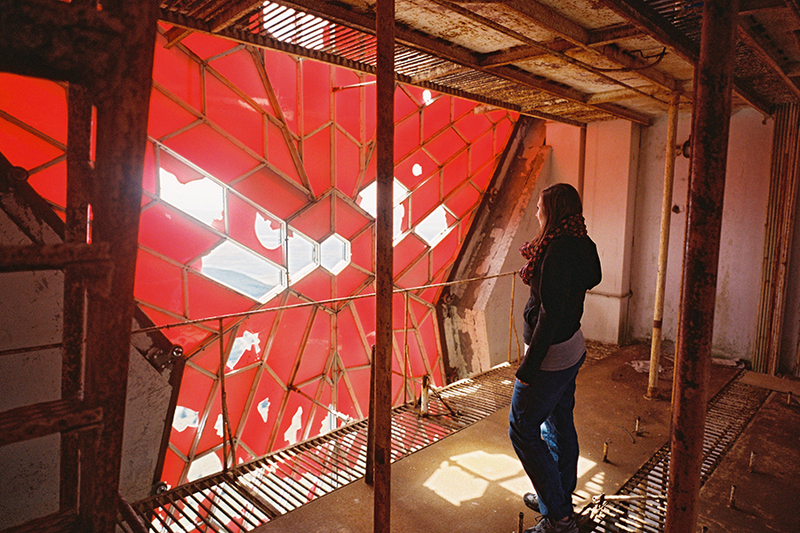 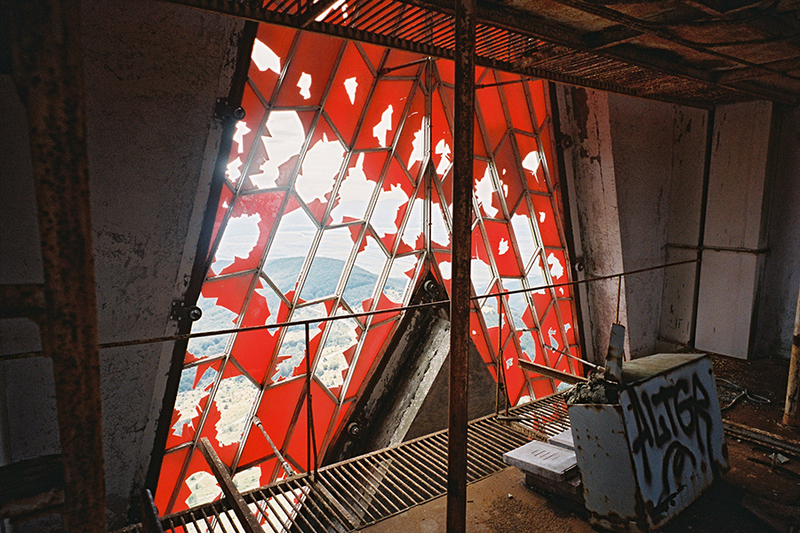 Since the elevator is long broken, its 10 floors of ladders in pitch dark, then 15 more meters inside the red star for a spectacular view of the landscape.